This month something has really clicked with the girls. Dot appears to have lost any baby traits she may have had and is joining in wholeheartedly with her big sisters. There very much seem to be operating as a pack of three when they are together and they really seem to be enjoying each others company and including one another. 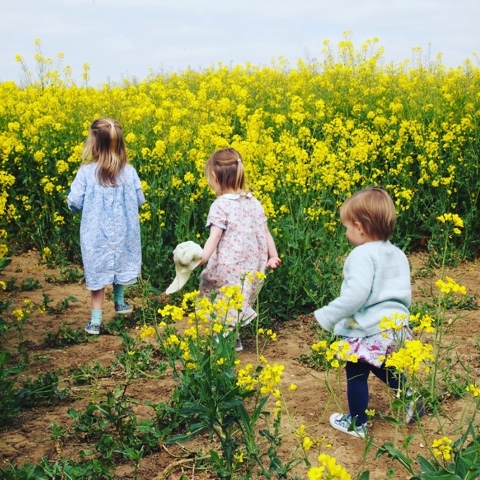 They even sing a little rhyme called 'we're a sister gang' which they were signing as they walked through the rapeseed fields together in this month's series of Siblings Project photos. 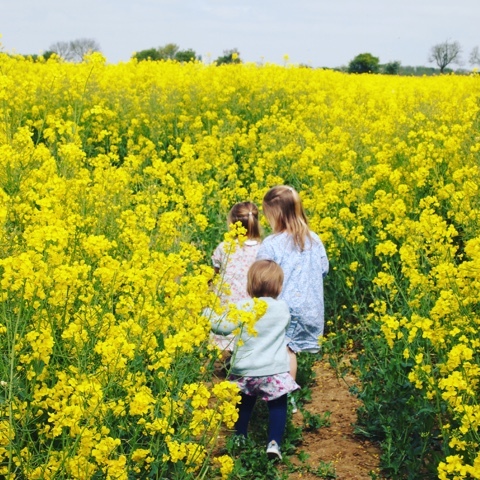 They loved exploring these fields together, following each other down the track laughing as they went and whispering about how to hide from mummy while I desperately tried not to loose them in it! I wish I had been the other side of them to capture their cheeky happy faces but they probably would have turned and run the other way anyway. 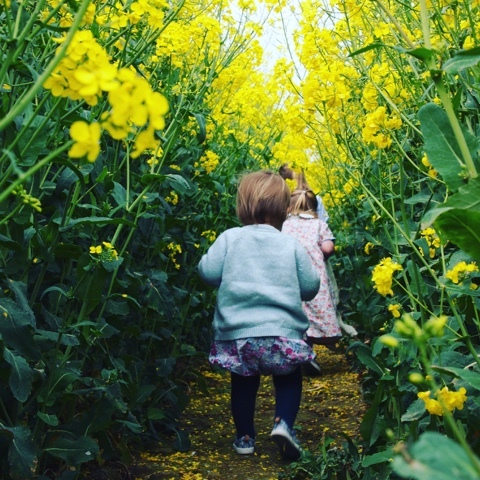 Photos like this make me feel so thankful that they have each other to share adventures with and I hope they will always be as close as they are right now. 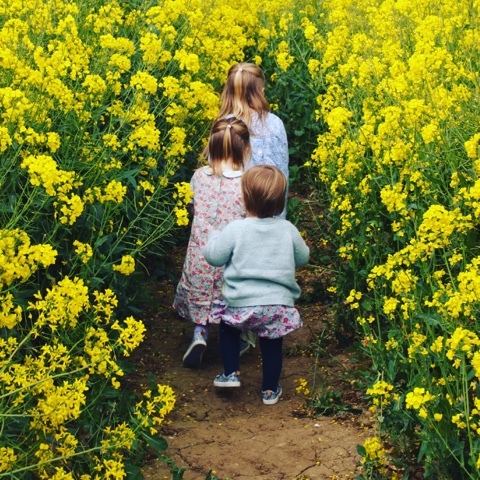 When I look at these photos I can hear their laughter and it evokes memories of the carefree nature of childhood and all it's simple joys - like running through a field of flowers. They share something really special, the start of a sisterhood and it's amazing to watch it develop. They help each other, they trust each other, they are so affectionate to each other and they really do adore one another - just so you know they fight like cats and dogs too! Right now they are all in the same kind of zone and really like being together as a little trio, I wonder how long it will be before they start taking their own paths for a little bit. I hope it's a little while longer and that when they do they always remember that they have their tribe to come back to.